For those of you interested in MISSIONS, I'd like to introduce to you a wonderful ministry called IN HIS FIELDS with founder, David LeCompte. I met David several years ago when he came out to our church to share of the work he was doing in the Middle East. David LeCompte was born and grew up in a rural community in southern Alabama. For the past twenty -five years, he and his his family have shared the Gospel throughout the Middle East and the Northern Caucasus region of Russia. David’s passion is to go where few others go. From Chechnya to Afghanistan, he and his family have served in many of the most challenging regions of the world sharing their faith with the hurting and forgotten. He is an accomplished author, speaker and serves as the President of In His Fields. Recently, David visited our church and gave a wonderful teaching and updates regarding the work of the Lord and the conversions to Christianity taking place throughout the Middle East. He states that God is moving in the Land of Abraham, and that countless Muslims are Coming to Christ. This historic revival taking place in Iraq is another wonderful example of the great spiritual awakening that God is creating all across the Middle East and the Muslim world. For the past ten years, thousands of Muslims have come to Christ from within some of the strictest Islamic communities on earth. Believers from Iran, Saudi Arabia, Egypt, and Indonesia are now surfacing to tell of their glorious conversions to faith in Christ. This sovereign move of God is a continuation and fulfillment of God’s heart for the nations that he began on Pentecost. If one will observe God’s word carefully, Acts 2 clearly shows that the early Church was made up mainly of indigenous believers from many of the countries that today we know as the Islamic Middle East. Long before Islam, the faith of these regions was predominately Christian. I believe God is a God of completion. As his Church was born in the Middle East, I believe these people will, and are, seeing a great revival again. As Christianity was spread throughout Europe, then the Western world, then Asia, God has brought and will continue to bring full circle his plan on earth. 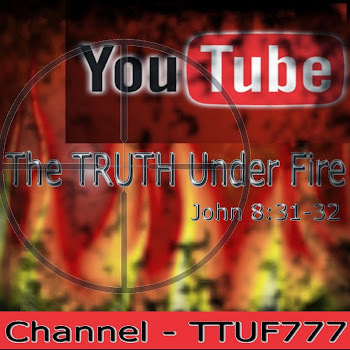 The last great revival on earth is happening among the peoples of the Islamic world and the Middle East. David has written a couple of books that are available on his website. 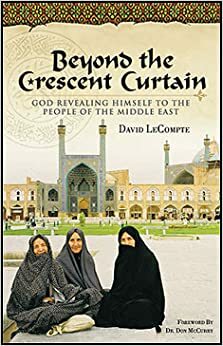 In his book, Beyond The Crescent Curtain, he reveals God’s heart for the seemingly forgotten people of the Middle East. The love of God is shining brilliantly into the spiritual darkness of the Islamic world as a growing number of Muslims are coming to faith in Christ. Many are crying out for a personal relationship with God, and He is answering their prayers. After months of painstaking preparations and years of prayer, my colleague Phillip and I were finally standing on Iranian soil. The long British Airways flight from London’s Heathrow Airport had only fueled our excitement and anticipation. As far as we knew, we were among the first Americans to visit Iran in nearly twenty years. Relations between Iran and the United States had been hostile ever since fifty-three American hostages were taken captive on November 4, 1979, and held for more than four hundred days at the U.S. embassy in Tehran during the Islamic Revolution. But after a long and bitter hiatus, relations between the two countries had begun to thaw in 1998 as President Clinton and Iran’s newly elected president Mohammad Khatami made public overtures toward restoring diplomatic relations. Now that the United States was seeking to establish a more cordial relationship with Iran, the militant Islamic government had cracked the door open for American visitors. Taking advantage of the warming political climate, Phillip and I jumped at the chance to visit Iran. It would be an adventure few other Americans would experience in a lifetime, and one of my first encounters with Muslims in the Middle East. Officially we were visiting as tourists, hoping to lay the initial groundwork for bringing Christian tour groups to Iran to explore historic biblical sites around the country. But our tourist visas hadn’t been easy to secure. To convince Iranian officials to issue the visas, we had to assure them that we would be visiting several of the country’s historic sites. One of the sites on our list was the tomb of Imam Ridha in Mashhad, a city on the remote plains of eastern Iran near the Afghanistan border. The timing of our visit couldn’t have been better. On the day of our tour, more than 130 million Shiite Muslims would be celebrating the Holy Day of Ashura to commemorate the massacre of the prophet Hussein (grandson of the prophet Muhammad) and seventy of his clerics in AD 580. And Imam Ridha’s tomb just happened to be located at one of Islam’s most sacred sites: the Imam Reza Shrine. For Shiite Muslims, a pilgrimage to the Reza Shrine is second only to the yearly pilgrimage—or hajj—to Mecca, the pinnacle of religious piety in Islam. As many as twenty million pilgrims flock to the shrine each year to pray and pay their respects at the tomb of Imam Ridha. Seventh in a succession of Shiite holy men, Imam Ridha was martyred in AD 818—a victim of poisoning—and buried in Mashhad, which literally means “a place where martyrs are buried.” I had also heard that ever since the miraculous healing of the sultan’s son in AD 1150 after he touched the tomb, the sick and disabled throughout the Muslim world came in droves to Imam Ridha’s tomb in hopes of being healed. Soon after our arrival in Tehran, Phillip and I took an early morning flight to Mashhad to tour the sacred shrine. When we stepped off the plane—an old Russian Tupolev jet that comprised most of Iran’s domestic air fleet—we spotted a young, black-haired man standing at the bottom of the roll-away metal stairs, holding a small sign that read: Mr. Phillip—Mr. David. This had to be our official Iranian tour guide. Another young man walked over to a small white car and opened the door. After loading our bags in the trunk, Ghazi took his seat behind the steering wheel and maneuvered the car toward the exit. Ghazi drove through a maze of dusty streets for several miles and then parked in front of a small shop with bags of tea and spices stacked outside. We followed Bakir into the shop and descended a steep staircase that spiraled down into a cavernous room with vaulted ceilings supported by cracked marble pillars. Several old men were sitting on Persian rugs, silently smoking hookah pipes (glass water pipes used for smoking tobacco). Their dark eyes glanced in our direction as Phillip and I lowered ourselves onto an ornate carpet spread across the floor. Bakir and Ghazi left us for a few minutes to order cups of hot tea and wafers. Gazing around the smoke-filled room, I noticed several large copper pots in various spots and wondered whether they had some particular use or were merely decorative. When our hosts returned, we sipped our sweet tea and shared stories about our families. Bakir and Ghazi talked animatedly talked about life in Iran and made us feel very welcome. Phillip and I smiled at each other. It was hard to believe, but in less than thirty minutes, we would become two of only a few Westerners to ever visit a sacred Islamic shrine on one of the holiest days of the year for Muslims. I had no idea what to expect, but I had a feeling it would be an experience I’d never forget! As we drove through the crowded streets toward the Reza Shrine, taxis cut in front of us, honking their horns and then screeching to a halt as the traffic slowed abruptly. How any driver could maneuver in such a crush of vehicles was beyond me, but in the Middle East, it was a matter of survival. Maneuvering through the chaotic Iranian streets made driving in the States seem docile in comparison, but our driver handled the car with ease. Knowing from experience that it was best not to pay much attention to the hazardous driving conditions, I gazed out the window at little roadside shops, closed for the observance of Ashura. Women cloaked in black from head to toe hurried along the streets with children in tow. Old men congregated on street corners, smoking and observing life happening around them. During the ride across town, Bakir fulfilled his duties as our tour guide, pointing out monuments to Iran’s war veterans, government buildings, theaters of culture—as well as his favorite restaurants. The pride he felt for his country resonated in his voice. I had seen photographs of the shrine in travel magazines and thought it was beautiful, but nothing could compare with seeing it in person. The larger dome was a stunning sapphire blue that took my breath away. The smaller golden dome, illuminated by the brilliant sun, was dazzling. Two golden minarets jutted into the sky nearby. Bakir drew our attention to several other minarets scattered around the shrine—fourteen in all, including the gold minarets that marked the site of Imam Ridha’s mausoleum. From these minarets, the Islamic call to prayer blared over loudspeakers five times a day, summoning the faithful throughout Mashhad to come to the mosque out of reverence for Allah. Large crowds were making their way toward the shrine on foot as our guide slowed the car and searched for a place to park. Phillip and I breathed a sigh of relief when we emerged unscathed from our whirlwind trip through town. Escorted by our guide, we walked quietly across an expansive concrete courtyard toward a row of arched entryways. White, green, and red gemstones created a tapestry of color on the shrine’s outer walls, sparkling like a Persian silk carpet against the sky. Passing under one of the arched entryways, we found ourselves in one of seven courtyards that spread like a maze throughout the shrine. The most elaborate was the central mosque courtyard, with three cascading fountains where worshipers performed their ritual cleansing before prayers. As we followed the burgeoning crowd toward the central courtyard, Bakir informed us that the shrine also contained several libraries filled with a variety of Islamic writings, ancient scrolls, and copies of the Koran and the Hadith (a collection of sayings and traditions from the prophet Muhammad and other holy men). Passing through another entryway, we entered the mosque courtyard, where white-bearded old men were gathered around fountains of sparkling water, washing their arms and feet as they readied themselves to enter Allah’s presence. Young men stood at a respectful distance, waiting in silent reverence for their turn to prepare for prayers. Phillip and I positioned ourselves near one of the courtyard walls. We knew that as Westerners we probably stood out in the crowd, but we wanted to remain as inconspicuous as possible, watching the events unfold at a respectful distance. Bakir was eager to show us the shrine, but he wasn’t sure whether Americans were permitted to enter the most sacred part of the shrine, where the tomb of Imam Ridha was located. Phillip and I were the first American tourists he had escorted in Mashhad, and he was worried that the religious authorities might punish him severely if he allowed us to visit the tomb. At the stroke of noon, the call to prayer echoed from the minarets as the masses filed into the sprawling courtyard for prayer. Pious women, draped from head to toe in traditional black chadors quietly entered through a separate archway to the right of the men’s entrance. Armed Iranian police stood tensely at entrance, their fingers twitching nervously on their Kalashnikov automatic rifles. Their presence assured the crowd that no terrorist would settle old religious scores that day. As the prayers began, row after row of men knelt in unison and then bowed with their faces to the ground as the mullah (teacher) directed worshipers from an elevated pulpit. The intensity of the moment was electrifying. The wailing drowned out any chance of making myself heard, so I exchanged a wide-eyed glance with Phillip as we struggled to keep our feet in the press of sweat-sour bodies. What had we gotten ourselves into? Somehow, in the confusion, we became separated from our guide. I could see him frantically gesturing to us from the courtyard as we were swept along into the bowels of the mosque by a surging tide of human flesh. Fighting desperately to stay close to Phillip, a wave of panic washed over me. Phillip and I exchanged wild-eyed looks as I prayed that God would get us out of there alive. Here we were, two curious Americans in very real danger of being trampled to death under the feet of faithful Muslims who were straining toward the site where Imam Ridha was entombed. Crushed against a wall of bodies, I fought for air, gasping as I pushed myself up on my toes in a futile effort to see over the crowd. Claustrophobia enveloped me in a suffocating grip, and I wondered how much more I could take before I lost my mind. Finally the interminable squeezing reached a pinch point, and the crowd spilled out into a huge room that held the imam’s tomb. With the shrine now in view, a new surge of intensity propelled the mob forward. A young boy, no more than ten or eleven years of age, seemed to float over the top of people, clambering his way to the front of the room. All around us, worshipers fought to get closer to the tomb, hands clawing the air in desperation. People were weeping and wailing like tormented souls drowning in a dark ocean, reaching out for a single touch of this sacred tomb. Helpless to fight the flow of the crowd, Phillip and I suddenly found ourselves facing the tomb. Hundreds of hands reached through the protective grillwork surrounding the tomb to touch and caress its ornate surface. Some worshipers tossed money—gifts for healing—through the bars. The crowd roiled continuously, slowly forcing us away from the tomb as other worshipers took our place. Then the giant tidal wave of humanity that had engulfed us finally began to recede, carrying us through the exit into a tranquil courtyard of fountains and flowers on the opposite side of the shrine. We had narrowly escaped the jaws of death. Following Bakir out of the shrine into the fresh air, I took a deep breath and rested my weary eyes on the expansive horizon. I had never been so thankful for open space in my life! As Ghazi drove us back to the hotel, I tried to process what I had just experienced. On the surface, the frenzied scene at the tomb appeared to be nothing more than thousands of hysterical Muslims going through some meaningless, superstitious ritual. And yet I knew in my heart that it was so much more than empty ritual. The passion and devotion of these worshipers had been too real to shrug off or discount. I couldn’t erase the images of people pressing toward the tomb, faces on fire with passionate devotion, thousands of hands desperately reaching out to touch the sacred tomb, souls crying out to know Allah—and yet not finding Him. I began to question my own devotion to God. I had always considered myself a passionate and devoted follower of Christ, and yet my devotion couldn’t compete with the faithful Shiite Muslims I had observed worshiping their God in unrestrained zeal. I suddenly felt ashamed. I had an intimate, personal relationship with the God of the universe that these followers of Islam were grasping for, and yet I felt as if I had been taking that relationship for granted. I had found the very One they were desperately searching for, but somehow I didn’t fully realize the priceless treasure I possessed. I left the Reza Shrine with a deeper appreciation for my relationship with Jesus, but more than that, I had an epiphany that would transform the way I looked at the Muslim world. That day I realized that many Muslims go to extreme measures to please Allah not because they are blindly following the empty requirements of their faith but because they sincerely want to know the living God. They are searching for Him the only way they know how, and God in His unlimited grace is reaching out to them in Christ, just as He reached out to me. As I pen these words, I am sitting on a little balcony near the Iranian border. More than ten years have passed since my pilgrimage to Imam Ridha’s tomb, but as I’ve reflected on my experience, I’ve come to realize that regardless of where people live, they are searching for something to believe in, something to be passionate about. We are all reaching out for Someone who will give us hope and deliver us from the despair of life and the guilt of sin. The frenzied scene at the tomb that day in 1998 is how most Westerners view the Islamic world. It’s a world of extreme religious zeal and radical devotion to Allah that seems to border on insanity. But is this the only face of Islam? Certainly, the radical devotion to Allah is real, but if we are willing to look beneath the surface, we may discover that religious fanaticism is pointing to a deeper spiritual hunger. 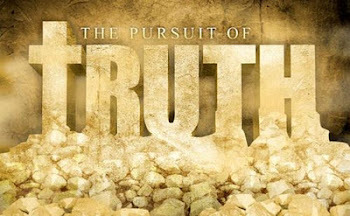 Many Muslims are longing to know God personally, and Islam is the only way they know to find Him. The highest expression of a Muslim’s devotion to Allah is the yearly hajj, or pilgrimage, to Mecca, the holiest site in Islam. The fifth and final pillar of Islam, the hajj is required of all Muslims at least once in their lifetime. According to some estimates, more than two and a half million Muslims make pilgrimage to Mecca, Saudi Arabia, every year. To take part in the hajj,1 pilgrims must purify themselves—enter a state of Ihram—by abstaining from sexual relations, refraining from arguing, fighting, or killing, and giving up shaving as well as the use of products like colognes or perfumed soaps. Many pilgrims take part in the ‘umrah, a second pilgrimage that begins about ten kilometers outside the city at the miqat or entry station to Mecca. There they must bathe to purify themselves and put on white garments called ihram. The women must remove their face coverings, and the men must wear seamless clothing. All the way into Mecca, these Muslim pilgrims recite prayers and perform various rituals. When they reach the Masjid al-Haram Mosque, they perform the tawaf, marching seven times around the Ka‘ba—a large granite cube in the center of the mosque—while they recite prayers. According to the Koran and Islamic tradition, the Ka‘ba was built by Abraham and his son Ishmael. It is toward this altar that Muslims turn and pray each day, no matter where they are around the world. As pilgrims walk around the Ka‘ba, they touch the Black Stone, a relic forming a cornerstone of the cube, which, according to Islamic tradition, fell from heaven and revealed to Adam and Eve where to build an altar to offer sacrifices to God. The altar became the first temple on earth. Muslims believe that the Black Stone was originally dazzling white but has since turned black because of the sins it has absorbed over the years. As pilgrims circle the Ka‘ba, many stop to kiss the stone as an expression of respect for the prophet Muhammad. After this ritual, pilgrims often take a sip of sacred water—kam kam—thought to come from the well God provided for Hagar and Ishmael in the wilderness to keep them from dying of thirst. The ‘umrah ends with the symbolic ritual of walking back and forth seven times between the hills of Safa and Marwa. Although the hajj incorporates most of the ‘umrah rituals, it also includes trips to several locations outside of Mecca. First is a journey to the town of Mina, where pilgrims spend the night and then depart early the next morning for the valley of Arafat, where they worship God in the midday heat of the open desert, a vivid reminder of hell. The next stop on the hajj is the town of Muzdalifa, where pilgrims gather stones and then return to Mina to throw them at tall pillars, or jamraat, to symbolize the stoning of evil and the Devil. Following the throwing of stones, lambs are sacrificed as a ritual offering to Allah, and the meat is given to the poor. As the days of the hajj draw to a close, pilgrims return to Mecca to march once more around the Ka‘ba, and then they head back to Mina, where they spend a few more days throwing stones at the pillars. The final crowning event of the hajj is the Eid al-Adha, the feast of sacrifice in which pilgrims commemorate their father Ibrahim’s (Abraham’s) obedience to Allah when he was commanded to sacrifice his son on an altar. Although the Islamic version of the story portrays Ishmael, rather than Isaac, as the sacrificial lamb, it is actually quite similar to the biblical account. In the end, Allah provided a ram as a substitute for Ishmael, but Abraham’s willingness to give up his only son pleased Allah, proving the patriarch’s love and devotion. For Muslims around the world today, elaborate religious rituals and observances are the only ways they know to reach out to God.2 Allah can only be appeased by works, and the extreme lengths that millions of Muslims go through each year to attain this goal testifies to their sincere desire to know God, however misguided their search. Islam offers hope to thousands of Muslims who worship at Mecca and Ridha’s tomb every year, but most of these pilgrims have never heard about the true God. They have no idea that the God they seek with such sincerity and passion is freely accessible to them in the person of His one and only Son. These are the Muslims I’ve dedicated my life to reaching with the gospel of the true Prophet of God—Jesus." Please remember to keep missionaries around the world in prayer as they lay their lives down to bring the Gospel to the lost in the uttermost parts of the earth. If you are interested in this book, or supporting this ministry, please visit In His fields Ministry to find out how you can purchase the book or help support this ministry.